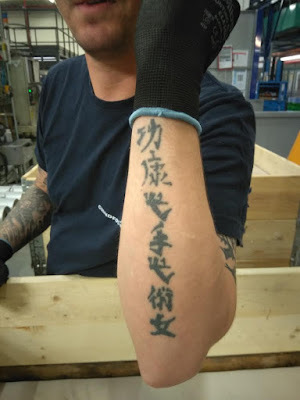 Hello, a co-worker of mine has this tattoo, can you please translate what it says? Thanks! Another one done with the gibberish font.